Calling all entrepreneurs! If you are looking for a modern franchise opportunity that has maximum growth potential, you may wish to consider Computer Troubleshooters. Computer Troubleshooters is a computer repair business with franchise opportunities available to entrepreneurs like you. Nowadays, every one has a computer, whether it be a laptop, tablet or desktop. However, not many people have the technical knowledge it takes to repair their gadget when problems arise. Computer Troubleshooters offers these users a perfect solution for their problem while providing you with a perfect opportunity to make money without having to worry about the blinds cost for a brick and mortar business. If you are interested in purchasing a Computer Troubleshooters franchise, keep reading. Here is all the information you need to know. 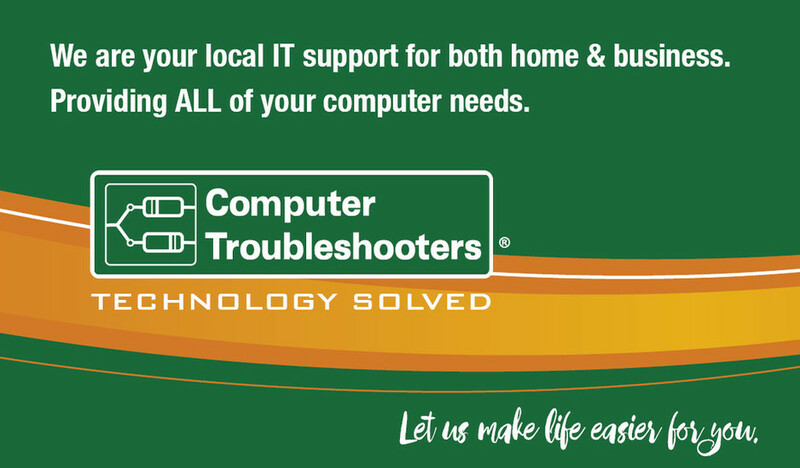 Computer Troubleshooters is the world’s largest computer and IT services franchise network. This provides you, the entrepreneur, with tons of second-hand lessons and knowledge to help ensure the success of your endeavor. This company has been ranked among Entrepreneur.com’s Franchise 500 for several years running, topping out at number 151. They have also been franchising since 1997,so you can guarantee that this company knows what they are doing. You may wish to consider this company’s rich history of enabling entrepreneurs to start their own business. Let’s be honest, this is the real make-or-break information about any franchise opportunity. This company is definitely not one of the cheapest franchise opportunities available. So if you are looking for the most cost effective option out there, you will want to look elsewhere. However, if you are willing to spend a bit of money up front, you stand to gain all that and more. Prospective franchise owners should expect initial investment costs to start at $32,000 with an additional one-time franchise fee of just under $30,000. Entrepreneurs can also expect to pay around $635/month in various fees for royalties and advertisements. If you want to purchase a Computer Troubleshooters franchise, start saving now. This is not a cheap investment, but it may be a wise one. In addition to the high costs that come along with purchasing a Computer Troubleshooters franchise, you must also remember to consider these additional financial requirements. This company requires prospective franchise owners to have net worth of at least $100,000. In addition to a large net worth, you must also have access to at least $45,000 in liquid cash. As said previously, this is not a cheap endeavor, especially when you factor in the credit card processing fees. However, if you have the money, it can be a very lucrative one down the line. In addition to all of the financial figures entrepreneur’s seek out when considering a potential franchise opportunity, many are concerned about the additional benefits being offered. Computer Troubleshooters is well aware of this, and offers plenty of help to ensure success for their franchisees. If you are a veteran, you will be extremely pleased to know that this company offers a fifteen percent discount off their inital franchise fee, which is no small sum. They also provide new-owner training for two days on-site at one of their many locations. After the inital training session, franchisee’s are provided a coach to help them through the start-up process for six weeks. Computer Troubleshooters also offers marketing and sales support, a professionally designed website and an office admin and billing system. Although the start-up costs may be high, the additional benefits Computer Troubleshooters provides are well worth the cost. If you are like many entrepreneurs, you probably did not dream of owning a franchise when you were younger. You probably wanted to open your own business. If so, you may want to look at an example like OctoBit Enterprises for a bit of inspiration. The owner of this small computer troubleshooting business was formerly an owner of a Computer Troubleshooters franchise in New Jersey. He took his customer base and his expert technical knowledge and went from franchisee to small business owner. You can do the same and build brand for your own business at a later date if you decide to buy a Computer Troubleshooters franchise location. If you are considering purchasing a Computer Troubleshooters franchise, this post should help you make that decision. This company is definitely not the cheapest franchise option available, but they offer a ton of additional benefits to franchisees that may make the initial investment worth it. If you own a Computer Troubleshooters franchise, let us know how your experience has been in the comments below.